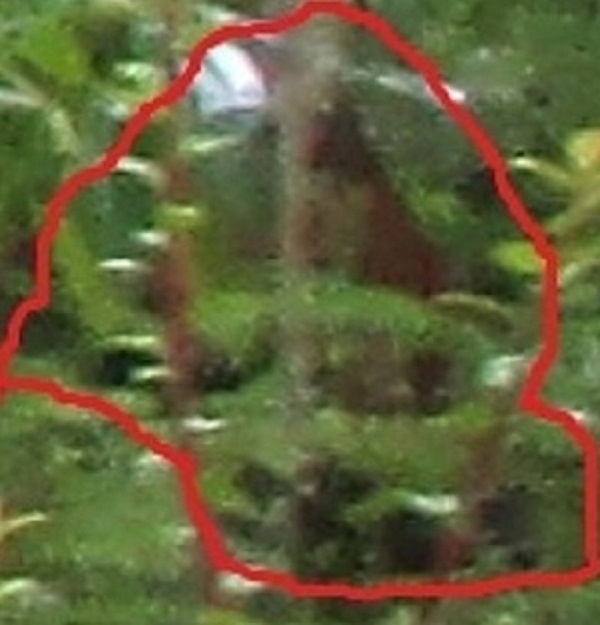 Is that Bigfoot? Photo by Patrick Cooper. Though he’s a Sasquatch aficionado, Patrick Cooper is passing on Bremerton’s Bigfoot conference this weekend. Too far-fetched, the Bremerton resident believes. And therein lies the idealogical divide among some Bigfoot believers. Cooper, who has been researching Bigfoot for the past 16 years, says he’s following evolutionary science. Searching for Sasquatch out along Hood Canal, he believes the creatures are simply descendants of a different evolutionary line. “No, we weren’t drinking, and no we weren’t drugging,” Johnson said. The experience thrust him into a more paranormal mindset — that perhaps Bigfoot is a far more intelligent species whose DNA could even mix with something out of this world. That was enough last year to convince Cooper to stay away this year. “About half of the presenters were legitimate hardworking bigfooters but the slant of the conference last year was to set up to showcase supernatural hucksterism,” Cooper said. Johnson says there’s plenty of “old school” conferences around the country and that his is meant to offer different viewpoints. The schism will continue as both sides continue the search for the elusive creature. A panel of the nation’s top recognized Bigfoot researchers will speak at a three-day conference starting tonight. Tickets are $50-$95. For more information go to http://www.teamsquatchinusa.com/. Although, recently a car-full of people swerved to avoid hitting him (or her), or “IT” recently and went off of Tracyton Beach Road into the Washington Narrows. Word on the street is that an aura or force field was a factor in propelling the car across the opposite lane and going airborne. I’d like to think I have an open mind, but too many of the presenters last year were making supernatural claims with either no evidence or very flimsy evidence to back it up. We were just suppose to take them at their word. Sorry, but that is not how science works. One presenter even claimed to have been made a priest by the Bigfoot and had discussed Jesus with them. So where are the photos of these Bigfoot he’s having spiritual conversations with? Ideas like cloaking and multi-dimensional beings are interesting and entertaining, but more than likely just excuses for their lack of obtaining credible evidence. Bigfooters would do better in the field in the future to improve their techniques and evidence gathering, not by inventing sci-fi stories. Science requires discernment and evidence, not blind acceptance of cultish doctrines. One of these days someone will provide the final evidence that Bigfoot exists. When that happens, all the hucksters will have to move on to another mystery to exploit. Yes, and you don’t want to meet the bouncer: big, hairy, and comes out of nowhere at you. I don’t agree with this paranormal garbage! The only people I hear mention this is a certain class of investigators. The ones that say you have to be of a certain mindset before they present themselves sound crazy. What about all these sightings by people who were not looking for BF? The craziest one I’ve heard is that they come thru a hole in the universe(LMAO) accompanied by these little sentry creatures (really? c’mon man) with glowing red eyes. I really want to see a photograph of the person who actually believes this nonsense(just so I know). I always remember what I read in Tom Brown Jr.’s book, “The Tracker”. Tom was out in the Jersey Pine Barrens, running around naked (you’d have to ask him), when he saw a couple of guys in a pickup truck acting like jerks. They spied him and tried to give chase, until he came running out at them, with branches stuck all over him from running through the trees. The guys took off, convinced they saw the Jersey devil. So there’s a somewhat unorthodox but rational explanation for that sighting. Makes me wonder if there’s a rational explanation for every sighting, however unorthodox it may be.